Raeda Saadeh, 'Penelope', 2012, in 'Keep your Eye on the Wall', 2013, edited by Olivia Snaije and Mitchell Albert, published by SAQI books, London. “Keep Your Eye on the Wall: Palestinian Landscapes” (SAQI Books, 2013) is about that Wall constricting the life out of the West Bank (aka Occupied Territories, aka Palestinian Territories) since it began construction in 2002. This specially commissioned book collates the work of seven award-winning artist-photographers and four essayists, who respond to the Wall (Barrier, Fence) with images and text. 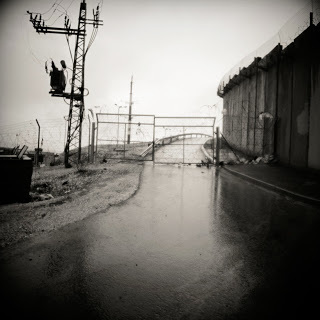 More than just documentation, both artists and authors present unique perspectives of ordinary people trying to go about their daily lives as they negotiate the 720 kilometre, 8 metre-high barrier with its many checkpoints along the way as they try to go to work, school, hospital or join social functions. Raed Bawayah, ‘Towards the sky’, 2012, in ‘Keep your Eye on the Wall’, 2013, edited by Olivia Snaije and Mitchell Albert, published by SAQI books, London. 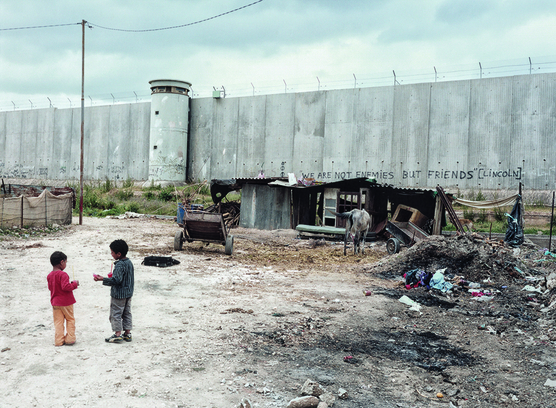 In an art photography book about the Wall in Palestine, one might anticipate numerous images like the one below, showing two Palestinian children in front of the barrier that divides them from Israeli children. The Wall is inscribed in all caps letters, “WE ARE NOT ENEMIES BUT FRIENDS” and the quote is attributed to Lincoln (presumably Abraham of Emancipation Proclamation fame); perhaps the writer is appealing to the people on the other side, however unlikely it is the soldiers in the tower would pass the message along. Noel Jabbour, ‘We are not enemies but friends’, 2012, in ‘Keep your Eye on the Wall’, 2013, edited by Olivia Snaije and Mitchell Albert, published by SAQI books, London. The most unexpected aspect of “Keep your eye on the wall” is the format of the book itself. In order to capture the insidious beauty of the Fence as depicted by the seven artists, the publisher chose an unusual accordion-style binding; in other words, if opened all the way, the book is a double-sided page over five metres long, with many of the images spreading over more than one leaf. It’s hard to imagine this hard-cover with a regular spine-on-the-left binding and it makes perfect sense that a book about a 700-kilometre-plus wall should be comprised of one really long page. Thus, a much more powerful impact is achieved when the particular section of the Wall can be taken in all at once. Kai Wiedenhofer, showing the ‘protection wall’ of the Kibbuz Netiv ha-Asara against small arms fire from the Gaza Strip, November 2010, In ‘Keep your Eye on the Wall’, 2013, edited by Olivia Snaije and Mitchell Albert, published by SAQI books, London. 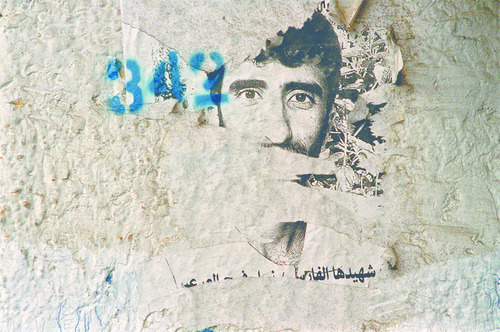 Although the photos of The Wall by Bawayah, Jabbour, Saadeh and Wiedenhofer are exquisitely direct, it is Steve Sabella’s work that approaches the subject in a different way; Sabella mashes up bite-sized snapshots of the Wall into two series of kaleidescope images; the first, entitled “Disturbia”, traps the gaze in endless stacks of bricks or a vortex of ashen concrete slabs and in the “Metamorphosis” group, it is easy to imagine oneself strangling in a web of razor wire. 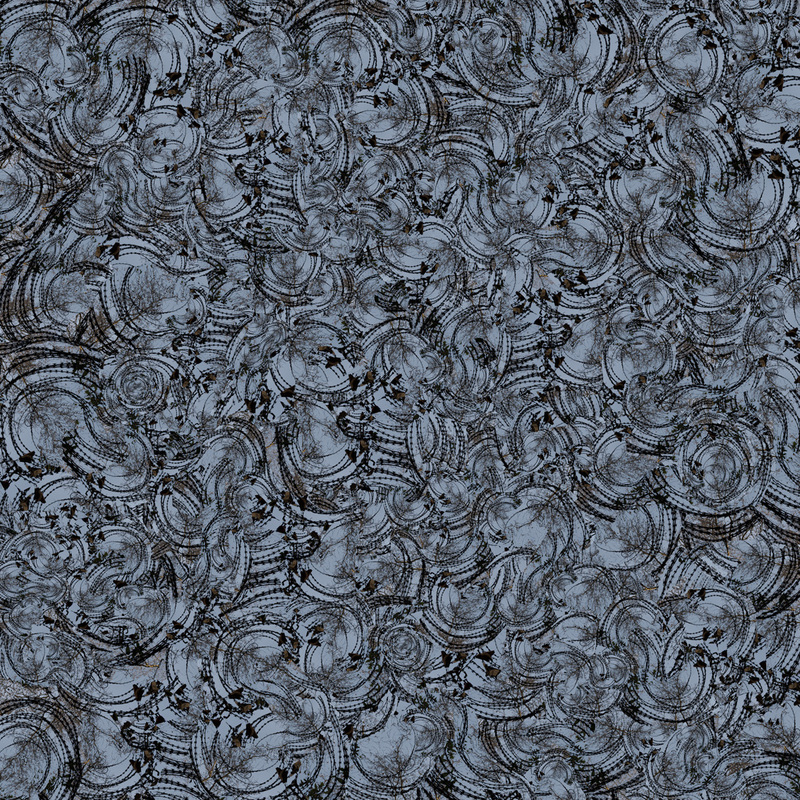 These pictures are discomfiting and magnificent all at once, and it is difficult to look away. Taysir Batniji’s murals show yet another use of the Wall as some sort of ironic message board; though it prohibits actual communication from one side to the other, the concrete barrier is used to display torn portraits of martyrs pasted on the Wall, some with half-shredded slogans or mysterious combinations of digits. Is the number a tally of the dead resistance fighters? A secret code? What the messages mean is anybody’s guess and they captivate all the same. Taysir Batniji, untitled (Gaza series), 2012, in ‘Keep your Eye on the Wall’, 2013, edited by Olivia Snaije and Mitchell Albert, published by SAQI books, London. 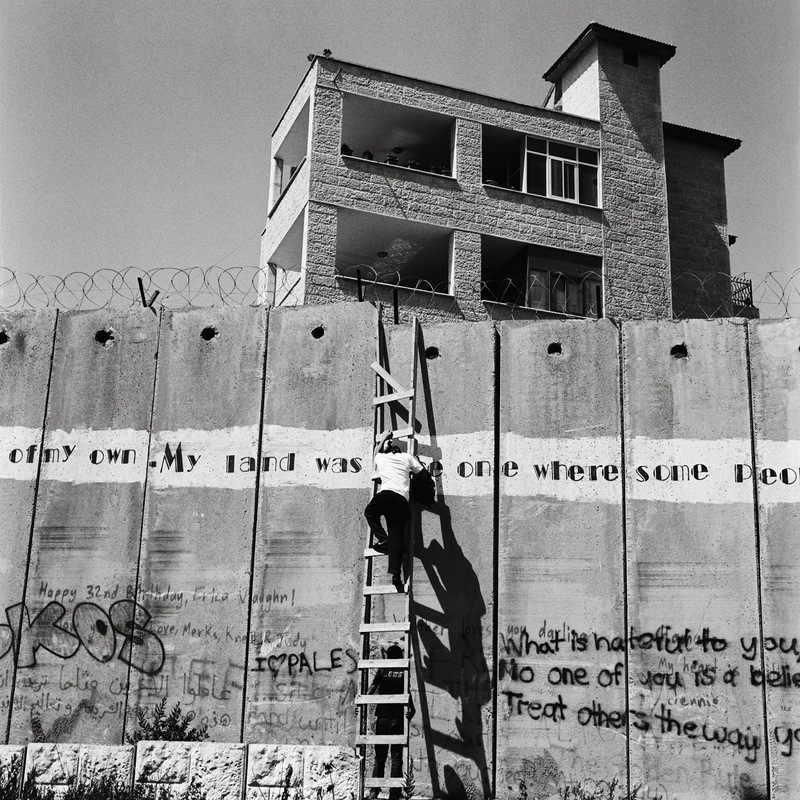 In her article, “Oppressive Beauty: Against Aestheticising the Wall”, Malu Halasa asks the artist who uses the Wall in his or her work, “Should oppression be made beautiful?”. Certainly, she continues, this kind of work grants the artist the space to “bear witness” and it also allows for the “useful and necessary” debate in a wider context: should the “architecture of oppression” be represented in art or should the artist leave the subject of the Wall alone “in the name of resisting normalisation”? 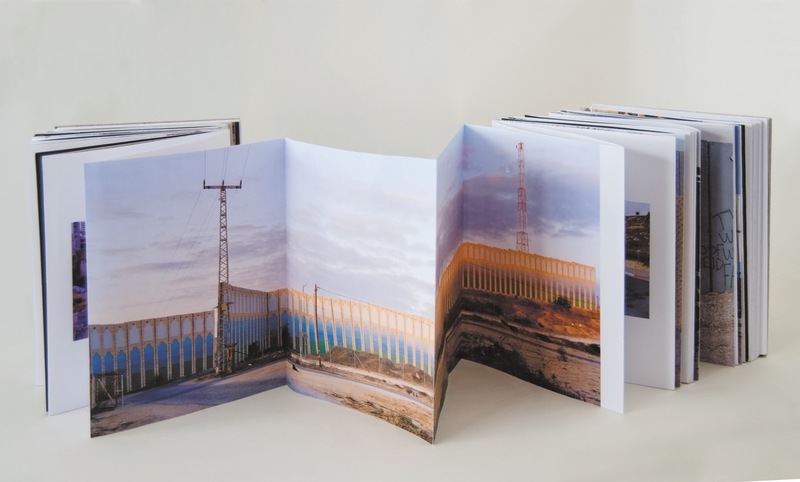 The final images in the book are of “The Gates to Paradise” by Rula Halawani, colourless views of a handful of gates to Jerusalem, currently barred for either side, forbidden to both Israeli and Palestinian. The beautiful photos have a vintage feel and also bring to mind the history and horror of other gates and walls from the not-so-distant past. Rula Halawani, ‘The Gates of Paradise, Jerusalem’, 2012, in ‘Keep your Eye on the Wall’, 2013, edited by Olivia Snaije and Mitchell Albert, published by SAQI books, London. …expressing their feelings with great skill and beauty and echoing the feelings of much larger segments of the Palestinian population that have to survive and make do with life in a divided, disfigured land. The artists: Taysir Batniji, Raed Bawayah, Rula Halawani, Noel Jabbour, Raeda Saadeh, Steve Sabella and Kai Wiedenhöfer; of the seven artists, all but one is Palestinian, the other, a German (Wiedenhofer) who makes much of his work about similar walls all over the world from Berlin to the USA. Texts by Malu Halasa, Yael Lerer, Christine Leuenberger and Adania Shibli, and the foreword from Raja Shehadeh. Olivia Snaije is a Paris-based journalist and editor. She has worked for various newspapers and magazines, and as a book commissioning editor for a publishing company and has contributed to, written, and translated several books. She is the former executive editor of Alef, a London-based culture magazine about the Middle East, and was Editor in-Chief of World Media in Paris, a magazine published by a group of twenty-six newspapers worldwide. Mitchell Albert is a London-based editor. Since 2002 he has worked as a commissioning editor for non-fiction and fiction books, as a freelance book and magazine editor, and as a programme manager overseeing literary events. From 2007 he edited the literary journal of PEN International.